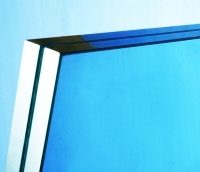 Laminated glass is the combination of two or more sheets of annealed glass laminated together with a PVB interlayer. The result is a product that remains bonded together when broken, which provides a safe environment in homes or commercial building in the event of glass breakage. Available in tinted, performance coated and patterned forms.